Never quit. Ricardo Argiles was involved in a big crash in the men's C1-3 scratch race. Landing on his one good leg and shoulder, he was helped back onto his bike, and eventually finished 5th. 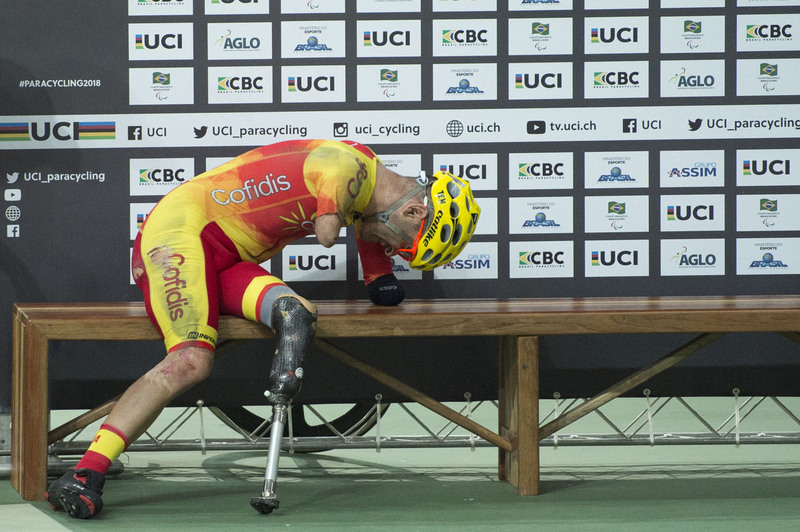 After the race, he slowly rolled to a bench near the podium, got off his bike, and quietly suffered in silence.